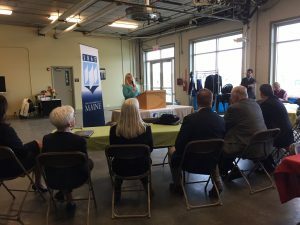 Several news media in the area covered the story about the opening event of the biorefinary pilot plant. 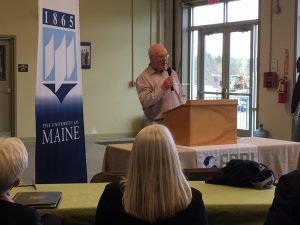 UMaine administrators and representatives from Maine political leaders participated the event on May 3, 2017. 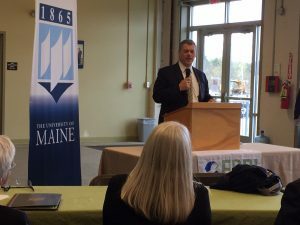 Researchers at the University of Maine are constantly looking for new ways to use materials from Maine’s trees and forests. 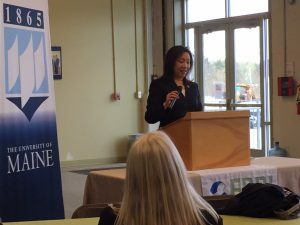 A partnership with Massachusetts based company Biofine is helping to do just that. 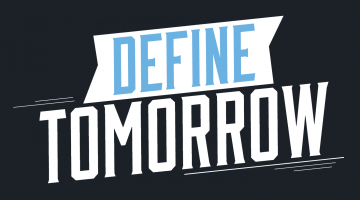 “Biofine Technology has developed a means of process for converting forest biomass, waste in particular, into useful chemicals and fuels,” said Stephen W. Fitzpatrick, Managing Director of Biofine Technology. A new pilot plant has opened up in Old Town, capable of processing up to 1 ton of woody Biomass per day into chemicals that can be used in different ways. 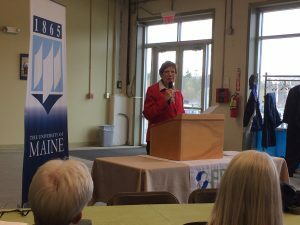 “All the things we are learning here are applicable to many, many different technologies if they want to use ground-up biomass and do anything with it,” said UMaine Director of Bioproduct Research Hemant Pendse. 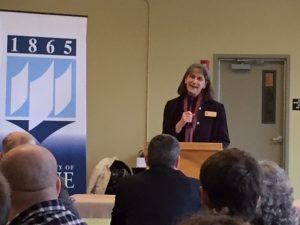 Researchers say Maine’s forest economy is ideal for the processes and hope that the application of the chemicals into practical bioproducts will help provide jobs in the future. 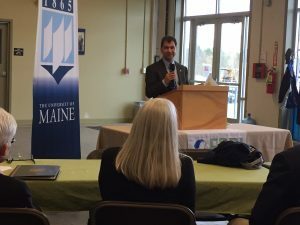 And with the plant right down the street from the University of Maine, educators hope their students will learn more about the new technology and hopefully build on its success.